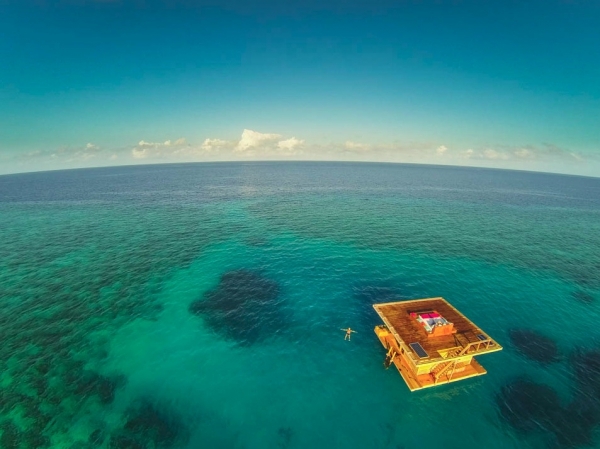 It may not be the best idea for a permanent address, but as a weekend house the Underwater Room at the Manta Resort, Pemba Island offers unparalleled experience and inspiration. 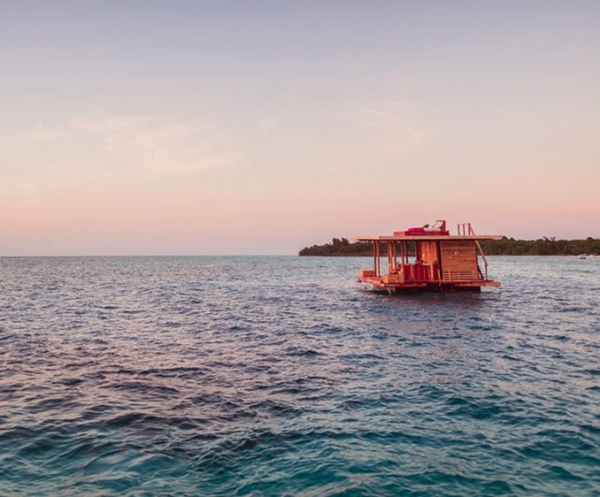 Anchored just off the Zanzibar coast, this floating cabin is an indulgent treat for the adventurous traveler looking for a quiet, intimate conversation with the many moods of the surrounding waters. The cabin is spread over three levels that offer their own experience of the oceanic landscape. The water deck floats above surrounding water level and offers a plush lounge space for relaxation, dining and animated conversations. The upper deck is a bare platform for sun bathing and day-dreams, as well a tranquil star gazing at night. The openness of this level, amid the expanse that engulfs it, evokes a silent surrender to the grand beauty on display. The lower level extends four meters below the surrounding sea water; accessed via the lounge deck it houses a cozy sleeping area with a window (literally!) to the many shades of life under water. 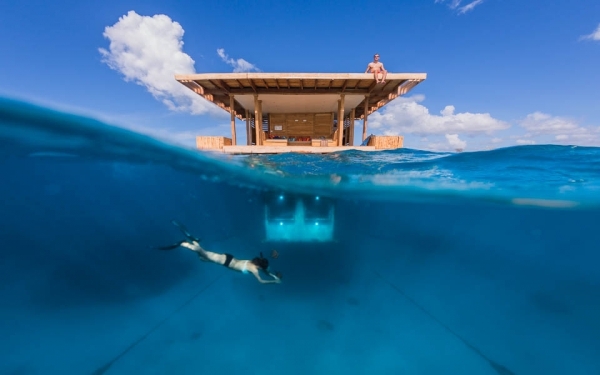 The Underwater Room is a unique experience on offer at the Manta Resort. 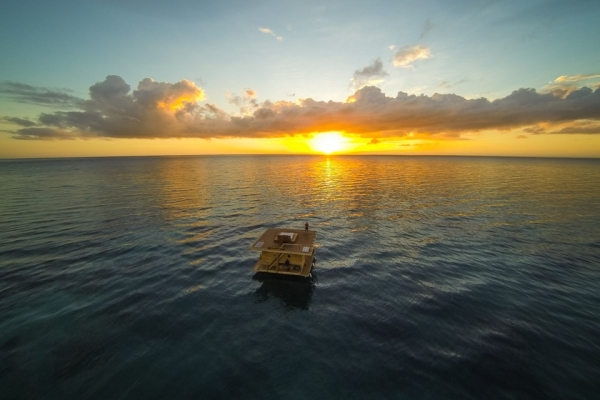 Capturing the excitement and the serenity of the waterfront, this floating cabin is a triumph of imagination and endeavor.